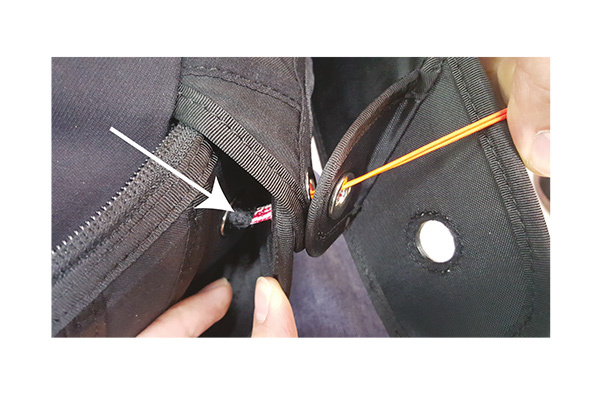 A Gingo 3 harness was found to have the rescue pin loop stuck in the eyelet due to being pulled too hard during packing. Gin Gliders recommend that all owners of the Gingo 3 open, inspect and re-close their rescue containers before their next flight. The rescue container flaps should be closed in the order shown. 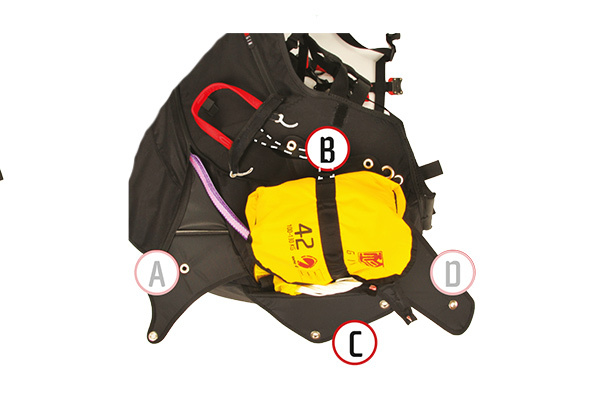 If the rescue pin loop is too tight, excessive force is required to close the container and the black fabric may be pulled into the eyelet as shown below. In this case, or if you have any other doubts, please contact the dealer you bought it from or UK Airsports.